Exchange experiences between two countries in the field of rural development and social activities. Meeting with staff members and dean of PSDS, Rangsit Campus, Thammasat University. The program started with self introduction and orientation about study exchange program in Thailand for Nepal participants. PSDS Dean Dr. Jitti Mongkolnachaiarunya presented in detail on “Socio, Economic, and Political situations in Thailand”. He also explained about Dr. Puey Ungphakorn and his contribution to Rural Development. The Puey Ungphakorn School of Development Studies (PSDS) was named in memory of Dr. Puey. Senior Advisor of NGO and CSO movement of Thailand and board of trustee PSDS, Mr. Dej Poomkacha explained about the Rural Reconstruction in Thailand. The role of NGOs (Non Government Organization) for rural development in Thailand. Nepal Delegate Team Leader, Mr. Rajendra Bir Joshi presented about FMIST, team members and objective of visit in Thailand. He handed over 7 set of books published by FMIST/Nepal to Dean Dr. Jitti for Thammasat University Library. Nepal participants and staff members of PSDS visited “The Golden Jubilee Museum of Agriculture Office”. This is a Public Organization. The Museum has demonstration of life and livelihood of rural people in Thailand. The highlights of Museum are organic vegetable farming, livestock keeping and rice seedlings transplanting by throwing to field. We started from hotel early in the morning and visited “Learning Center for Farmers” at Baan Phan Klong, Dontoom District, Nakhon Pathom Province. The community leader Ms. Champee explained about organic farming system. She took us around the agriculture field and collection center. Before cultivation, the farmers and entrepreneurs (e.g. department store) fix the price of agriculture product. The products from farm are processed and classified in three different grades. The Grade-A farm product sell it to Departmental Store for high price, Grade-B to Local Restaurant and Grade-C for local consumption for least price. We stayed overnight in Bang Maemay Homestay, Bang Plama District. In the morning we travelled to Haad Tanong Municipality, Utai Thani Province. The total agriculture land of 6200 Acre is located in between two rivers Sekaikraun and Javai. They have two crops 1st Paddy (May to Aug.) and 2nd Paddy (4th week of Sept. to Nov.) in flooding area of 2000 Acre. The farmers make decision of 1st Paddy plantation before flooding in September. The paddy variety is gorkor-41 and selling seeds for Bhat 12000 per ton. Mr. Muan Kiewubon is the community leader of 60 farmers in group. The government of Thailand provides agriculture Machineries for the group and agriculture service center provides technical supports. In the afternoon we visited Agriculture College, Integrated Farm Thai Knowledge of Animal Science Department. The highlights of the college farm were Buffalo Farm, Cow Farm and Goat Farm. We stayed overnight in Topland Hotel, Pitsanuloke Province. In the morning we had a city tour including Budha temple and Thawee Museum. We visited Banana Cultivation Farm and Dried Banana Selling Group, Jirapor Food Corporation. Maliont variety Banana of 110days was popular. The Jirapor food Company is producing organic banana and dry banana in packets. The drying of green banana in Solar Green House was a success story in Thailand. Overnight in Seeharaj Hotel, Uttaradit Province. In the morning we travelled to Baan Sapae, JaeHom District, Lampane Province. 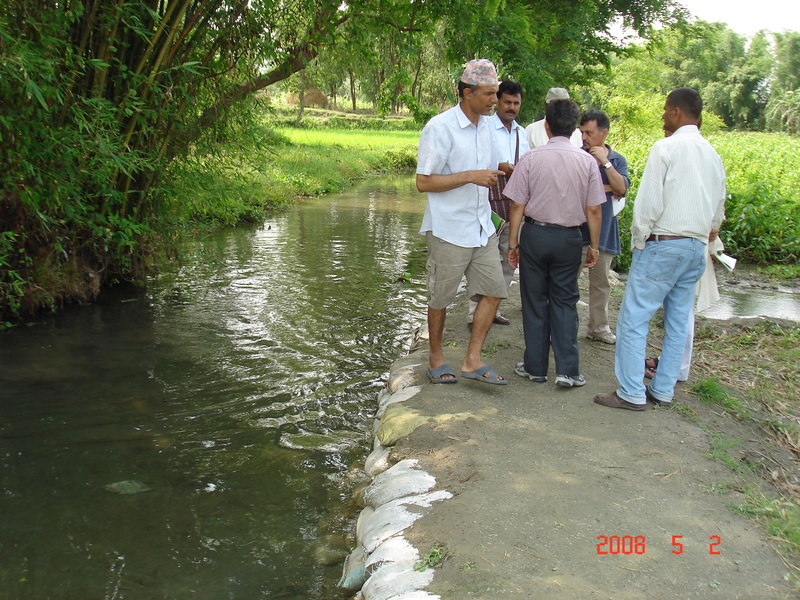 In this area, we visited hill irrigation system. We had interaction with local farmers about water management. Mr. Kong Bun Chote is the community leader who explained more about the system. The Monks and Community leader were the key persons helping farmers for agriculture development. The farmers have built series of Dams across the river to store water for agriculture. The area is now famous for Bitter Guard Seed. They are selling it for $50.0 per kg to India. The collect Bhat 100 per Acre as a Irrigation Service Fee for maintaining their system. They have supports from non government agency like SVG (Cement Manufacturing Company) business enterprise helping local farmers in technology and development works. The CSR (Community Social Responsibility) has great role in Thailand for Rural Development. Overnight in Huandalha Resort in Lampoon Province. We travelled to Chian Mai Province. In the afternoon, we visited Nong Tao Village, Mae Win sub-district, MaeWang District. The traditional hill irrigation system in Thailand. 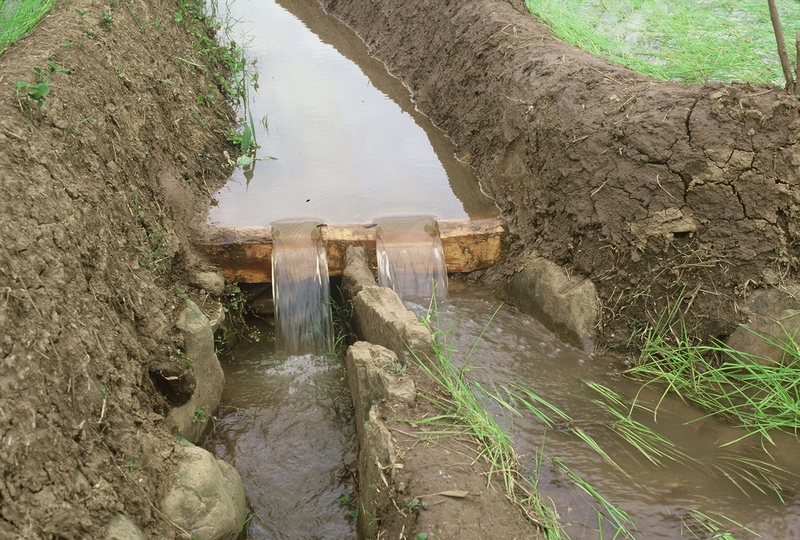 Maetian Irrigation system was initiated 400 years ago by local farmers. There are 4 check Dams across the river for 1000 Acre land for Rice cultivation. The system covers 3000 Acre land. The main crops are Rice, Vegetables, Flower and maize. A whole day city tour in Chiang Mai. We stayed overnight in B2 Airport Hotel in Chiang Mai. Morning we travelled back to Bangkok by flight. In the afternoon we visited different places in Bangkok including Beach walk in Pataya. Damaodar Khadka – present and past about RJK I. S.
Dr. Jitti Mongkolnchaiarunyu, Dean PSDS had discussion as to how further collaborative programs can be organized in future. It is agreed that in the early part of 2019, faculty members and farmers from Thailand will visit to Nepal. Mr. Samundra Sigdel, Field Research Support and Treasurer of FMIST. Mr. Ram Bahadur Karki, Chairman of Water Users Association of Kalleritar Irrigation Systems, they grow paddy and vegetables. Hill irrigation system. He is also teacher in local school. Worked hard to rehabilitate canal after2015 Nepal Earthquake. They grow hybrid paddy in the command area of the irrigation system. Mrs. Raj Kumari Pariyar, Multiple Water Use System (MUS). Drinking water system is also used for vegetable cultivation. She is social mobilizer in the village. Mr.Dan Bahadur Rayamajhi, Chairman of Julfetar Irrigation System, Nawalparasi. Active and very reasonable person. Villagers listen to him. Mr. Maharjan, he is engaged in Cow Farming in Kathmandu valley. Asian Regional Biennial IASC meeting at Asian Institute of Technology (AIT), was inaugurated by President of AIT at AIT Conference Center, Bangkok, Thailand. There were over 50 participants from Asian Region having experiences of research and practical implementation of the common resources management. The participant countries include Indonesia, Nepal, India, Thailand, The Philippines, China, Singapore, Pakistan, Vietnam, Japan, South Korea, Malaysia, Netherland, and USA. Among these sessions of themes, several speakers and panel discussions were integrated to reinforce the themes on dynamics of natural resources management. The themes discussed in the conference were quite relevant in the context of growing population and depleting natural resources in Asian Region. 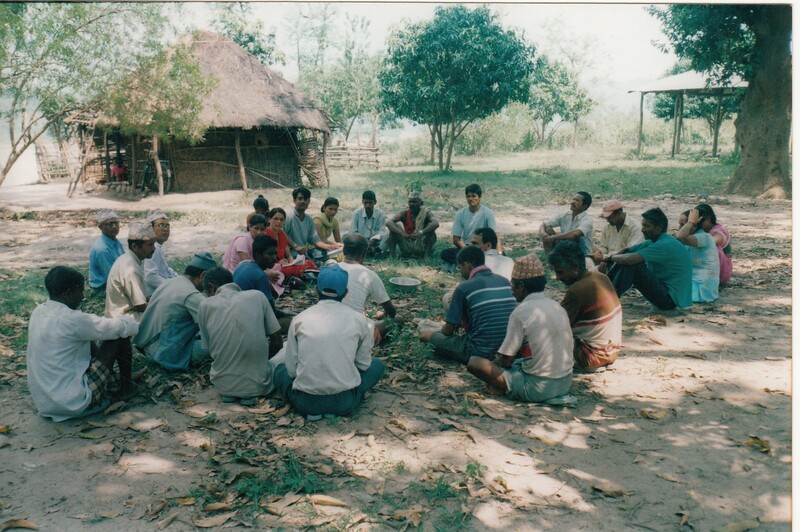 A group of like minded people got together and decided to establish a specialized organization which takes care of advocacy and promotional activities of farmer managed irrigation systems of Nepal. 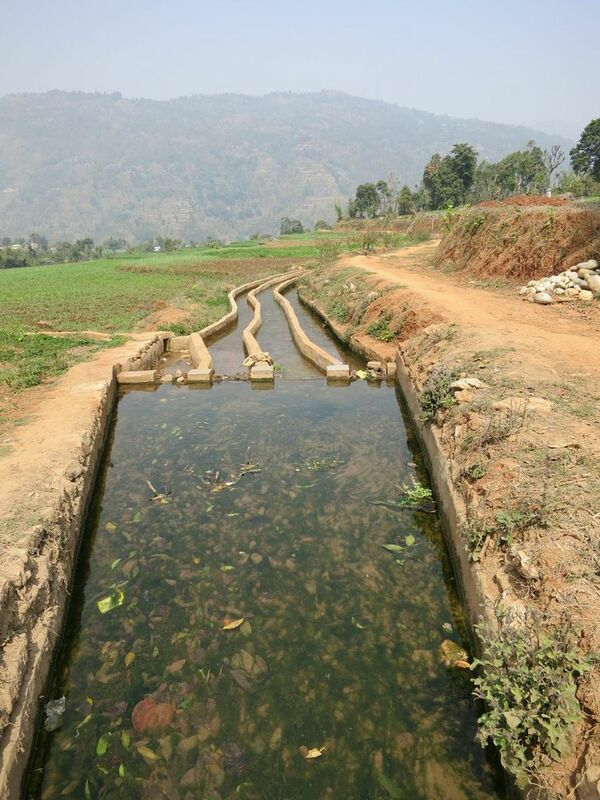 Nepal is known for its tradition of farmer managed irrigation systems (FMIS). In this country, farmers are collectively engaged in irrigated agricultural development as an enterprise since time immemorial. There are thousands of FMIS in the country. These FMIS provide irrigation services to 70 percent of the country’s total irrigated area of little over of 1.2 million ha. Hence, FMIS have gained on their own a status that is symbolic of the national heritage in Nepal. They are the mainstay of the country’s food security as well as social and political stability. Mostly, these FMIS are location-specific, indigenous in their management practices and representative of the local organizational needs and services to deliver. FMIS symbolizes grass root democratic institution where community takes responsibility of natural resource management and allocation. They represent a sustained decentralized pattern of organizations. 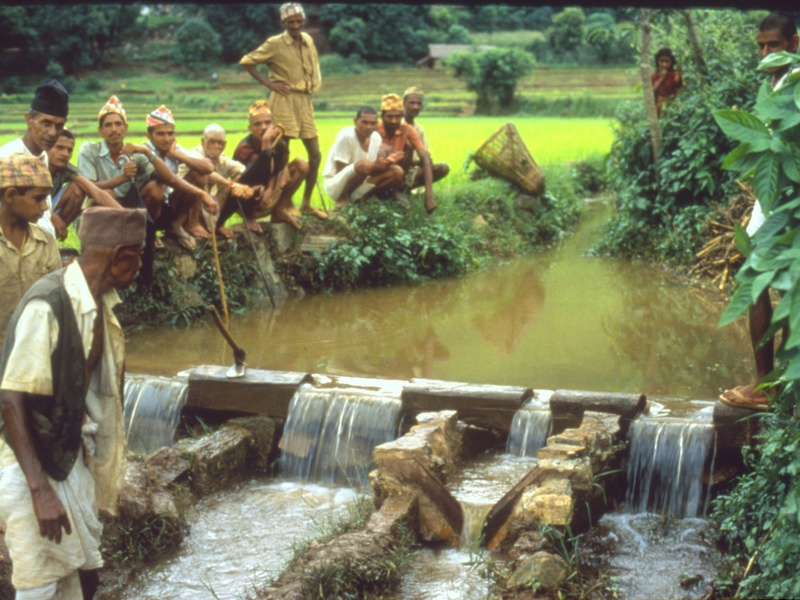 Nepal’s FMIS are indigenous and have autonomous operational characteristics providing basic hope for the sustainable management and development of the nation’s natural resources wherein water is the most precious resource of all. Despite the country’s national FMIS heritage, there are no dedicated institutional means to recognize the FMIS that have been surviving in the face of social, organizational, economic, technical and environmental challenges. No self-initiated and systemic institutional support exists to facilitate these FMIS to develop their comparative capacity vis-a-vis the challenges. Besides this, these FMIS have largely remained incommunicative to the global community. Such a situation has constrained the FMIS from evolving into a competitive socio-economic entity. Hence, there is a need to conserve and preserve such a national heritage in the form of FMIS as functional institutions in the diverse socio-economic and geo-setting of Nepal. To develop human resources and knowledge base on FMIS through applied research and training. To provide a networking forum for national and international dialogue on FMIS.